An interim agreement to restore a contracted air ambulance service to Grand Manan has been reached, according to the health minister. 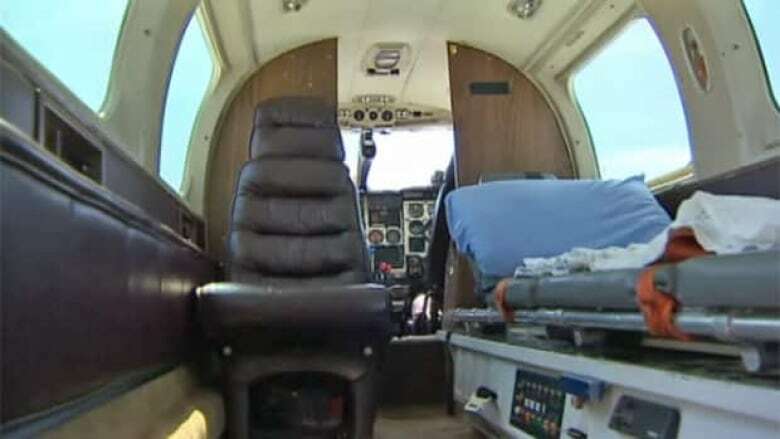 An interim agreement to restore a contracted air ambulance service to Grand Manan has been reached, according to the province's health minister. The details of the new contract between Ambulance New Brunswick and Atlantic Charter are still being worked out, Madeleine Dubé told CBC News late Thursday, after meeting with island officials. Residents have raised concerns over the amount of time it takes to reach the mainland after ANB's contract with the private charter company ended earlier this month. "After hearing all of their concerns, I decided to direct my staff and Ambulance New Brunswick to work out an interim agreement with Atlantic Charter to restore the services on the island," said Dubé. The interim agreement is effective immediately, said Klaus Sonnenberg, the owner of Atlantic Charter. He expects the parties will try to work out the details of a longer-term agreement next week, he said. Sonnenberg hopes to get officials at the Grand Manan hospital involved as well. He says the interim agreement is too complicated — leaving a patient to wait on confirmation from a medical control physician in Moncton before an air transfer is approved and Atlantic Charter can take off. "It's unbelievable that the local physician wouldn't make those decisions, as to whether a patient should be moved by air or not." The more complicated the process is, the greater chance of it failing, Sonnenberg said, adding he's only interested in patient care. The long-term contract will be based on the direction of the Health minister, he said. Alan Stephen, the president of Ambulance New Brunswick, who also attended meetings on the island Thursday, could not be reached for comment. In an emailed statement, ANB says it continues to work closely with the Department of Health to develop an on-island air ambulance solution for Grand Manan that "ensures islanders receive the best service to meet their unique needs." Last week, the family of a Grand Manan woman who died while waiting for medical transport called on the provincial government to resume the service. Marjorie Stanley, 86, died of a second heart attack on July 8 while waiting four hours for air transport to Saint John. For 30 years, Atlantic Charter transported ill or injured Grand Manan residents from the island to hospitals on the mainland. But Atlantic Charter’s contract with ANB expired on July 1 because the company didn’t agree with parts of the new offer. Since then, Grand Manan residents have had to rely on ANB's AirCare plane, which is stationed in Moncton, services the entire province and is sometimes hindered by poor weather conditions. Otherwise, the only other options are a helicopter from Nova Scotia or the ferry. The ferry is equipped with a sick bay but only departs four to seven times a day, depending on the time of year, and takes about 90 minutes, plus the ambulance ride from Blacks Harbour to a hospital. Heather Bass, director of nurses at the Grand Manan Nursing Home, says Ambulance NB won't send a plane to transfer seniors who have appointments at the Saint John Regional Hospital, opting instead to transport them by ferry. "I think that we are not giving the appropriate level of care to our seniors," she said, noting the return trip can take up to 12 hours. "For a senior, especially a frail senior, it can be not only exhausting, it can be confusing for those who have mild dementia," said Bass. "It can also be a very uncomfortable trip sitting on an ambulance stretcher." It's unclear if the interim agreement covers non-emergency transfers.